The switch actually makes use of standard bluetooth protocol for its controllers, and they can easily be linked to your PC, mac, or android device if it has bluetooth receiver capabilities! You can easily pair Joy-Con controllers with a Windows or Mac computer from directly within the Bluetooth menu. Follow the steps below to do so. Step 1: Turn on Bluetooth on your PC. Step 2: Disconnect the Joy-Con from the Switch as you would normally. Step 3: Hold the “sync” button on the Joy-Con — which is located between the SR and SL buttons — until the LED lights start flashing. Use the image below, if you’re in need of further clarification. Step 4: Look for the Joy-Con in your computer’s Bluetooth menu, and select the option to pair it with your device. There are some quirks, like the fact that the pairing lights on the Joy-Con won’t stop blinking. 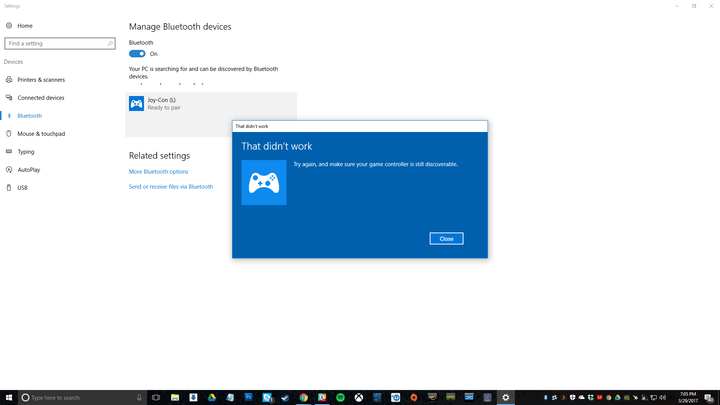 You can confirm that the controller is connected, however, by looking at your computer’s Bluetooth settings. If you see the error message below, move the controller around to ensure no other devices are interfering with the signal. Afterward, try again. Unfortunately, the two Joy-Cons will be treated as separate controllers. That’s great for two-player games, but it makes the Joy-Cons useless for playing anything complex, like a first-person shooter (why are you using a controller to play a PC shooter anyway?). Using them as controllers for multiplayer is interesting, but otherwise I don't think the Switch controllers are something I'd want to use with any other system. Still neat, though. You might reconsider that if you use the Pro controller, mine is very lovely and since I only own one 360 controller for my PC and a Steam controller which are wireless, this is a good bonus to owning one. 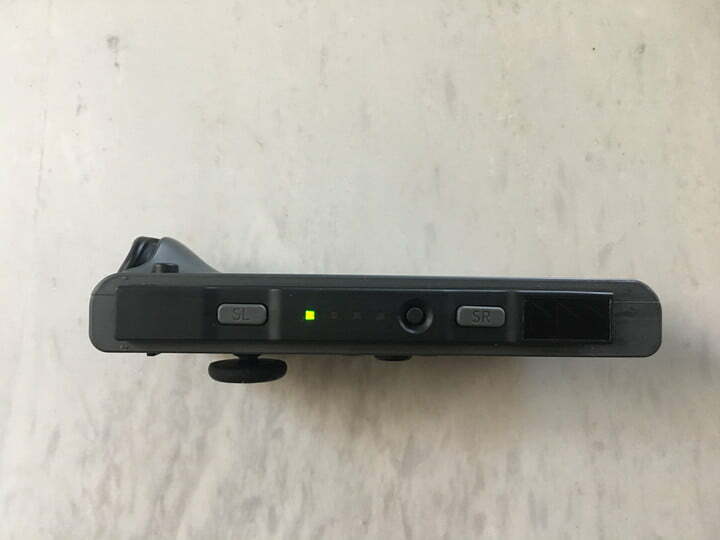 That beside, the Joy cons also posess pretty advanced motion sensitivity and appear to be purpose-built to allow the system to convert to a VR kit. Game Theory suggested that Switch will do VR. That'd be cool. It has ticked all the boxes necessary for it to do standalone VR, it is a very clever design and if anyone can make it work, it's Nintendo. The Wii u pro controller is the same way, I use one for my Retropie and it works like a charm.